24th July 2008. In this Issue: ExplorOz Survey Winners Announced, New Article - Inland Fishing, New Trek Note - Strahan to Wynyard via Murchison Hwy and New SPOT Satellite Messenger in the Online Shop. The WAECO fridge/freezers are on their way to the 10 lucky winners of the ExplorOz Survey. Congratulations to the winners, and a big thank you to everyone who participated. 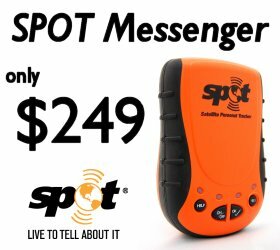 In Shop news – ExplorOz now stock the new and innovative ‘SPOT Satellite Messenger’ – Be sure to check out this exciting new concept in the Online Shop. This week, we also feature an inland fishing article and new trek note. Just a quick reminder, Ningaloo Station needs your support – please help anyway you can. Just released in Australia – SPOT provides a vital line of communication with friends and family, as well as access to emergency services whilst travelling. This compact unit allows users to check in with family, allows others to track your progress online and call emergency services for help. Utilizing satellite technology, SPOT works all over the country – even where mobile phones don’t. For more information on SPOTClick HERE. 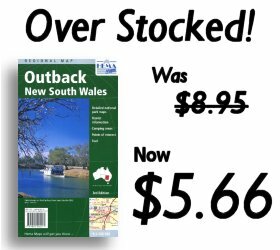 We are severely over stocked with HEMA Outback New South Wales Maps, so to reduce our stock quantities, we have drastically reduced the price! Normally $8.95, now only $5.66Get in Quick! Australia is the world’s driest inhabited continent with 70% receiving between 100 and 350mm of rainfall annually. So with such little rainfall, you may wonder whether Australia is good for recreational freshwater fishing. This article explores Australia's inland fishing possibilities and includes a general overview of what to catch, where and how. This enchanting trek passes through many old mining towns such as Zeehan and Rosebery, while offering spectacular mountain scenery, cool thick forests and gentle plateaus. We are pleased to announce the winners of the ExplorOz Survey competition, with each winning a WAECO fridge/freezer worth $1199. The winners are: Rob, Rhys W, Member - Matt M (ACT), Member - Graham H (QLD), BThommo, sandman6220000, Topcat (WA), scott64, snaga, and drinky. Thanks to all who took part and to WAECO for the prizes.